I never really liked Mexican food until I moved down to Arizona. I nibbled a little, but everything seemed too hot and spicy. But then, once I moved, it was like a switch flipped or something. Heck, I’ve even graduated to MEDIUM SALSA!!! But, for fast food, which is better? Taco Bell or Taco John’s? This entry was posted in Uncategorized and tagged Catch the Rush, Debate This, Debate This, Lynn Rush, Paranormal Romance, Taco Bell, Taco John's, Urban Fantasy by Lynn Rush. Bookmark the permalink. The potatoe oles are the final decision in my choice, Taco Johns all the way! My mouths watering just thinking about it. Totally jealous. I want to come to the conference!!!!! I’ve always liked Taco Bell. 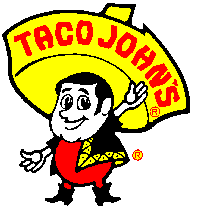 I only heard of Taco John’s when I moved to MT. And I’m sorry, but bacon and potatoes in Mexican food? I can’t tolerate it. 🙂 Happy Monday! Bacon and potatoes???? Oh my. Sorry, I’ve never had either. We don’t have either one in my town. No vote for me today. Do they have a mexican food restaurant near you that you like? I’ve never heard of Taco John’s either, but I chose Taco Bell because sometimes you just need some nachos! Ohhhhhh nachos!!!! Love me some nachos. 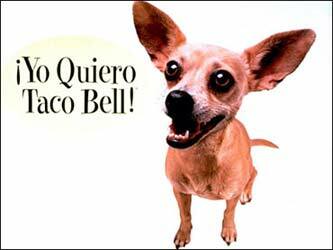 I’ve never heard of Taco John’s, and Taco Bell isn’t suitable for feeding rabid dogs, IMO. Hahahaha! I prefer those places where they make your burrito right in front of you. Or sit-down restaurants. Either way, I really love Mexican. YUM! We don’t have Taco John’s in Denver, but Taco Bell is one of my favorite places to go for fast food.